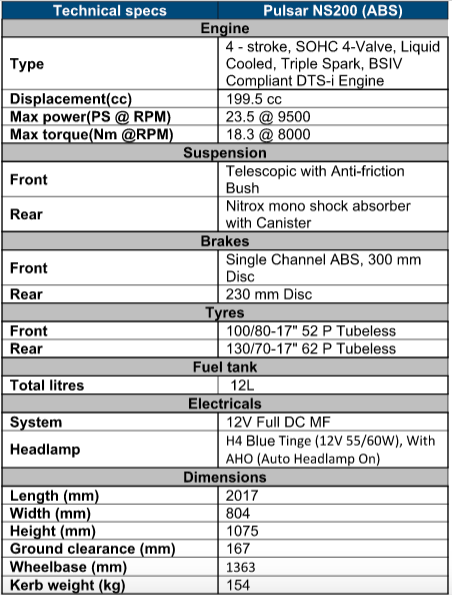 Bajaj Auto Ltd, India’s leading motorcycle company, has introduced an ABS variant to its highly successful Pulsar NS200. The NS 200 is a next generation sports bike with an aggressive muscular form and which has set new benchmarks in technology and performance. 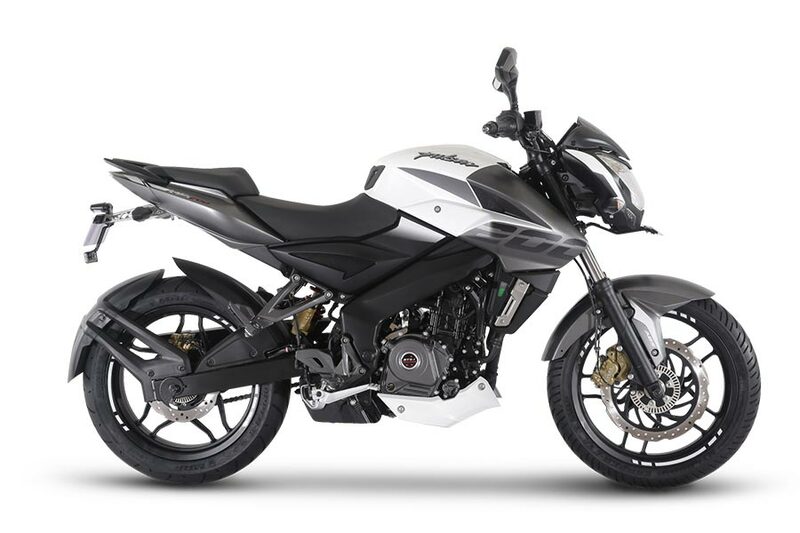 The definitely male Pulsar NS200 comes with 200cc a liquid cooled four valve, triple spark DTS-i engine and delivers raw power of 23.5 PS with outstanding stability and safety. It now comes with ABS in combination with bigger disc brakes and perimeter frame to provide the highest level of stability and control for the rider and ensure ultra-safe braking over any surface. We have received a large number of requests from our customers for ABS and hence we are extending it to the NS200 . We are No 1 in performance Naked Sports bikes with our NS200 with a huge fan following among young, performance seeking motorcycle enthusiasts due to its world class quality and style, backed by and its thrilling performance. The introduction of the ABS variant will enhance the bikes performance appeal and strengthen our leadership in this performance segment. NS, standing for Naked Sports, is an aggressive street fighter motorcycle coming in two engine capacities – the Pulsar NS200 and Pulsar NS160. The Pulsar NS200 ABS is available in 3 colours – Wild Red, Mirage White and Graphite Black and is priced at Rs. 109,715/- (Ex Showroom, Delhi). It is now introduced in all Metros and will be progressively available across all dealerships in the country.